When Is World Cities Day 2019? The United Nations (UN) has declared October 31 World Cities Day. Its aim is to create awareness of the role of urbanization in global sustainable development and social inclusion. 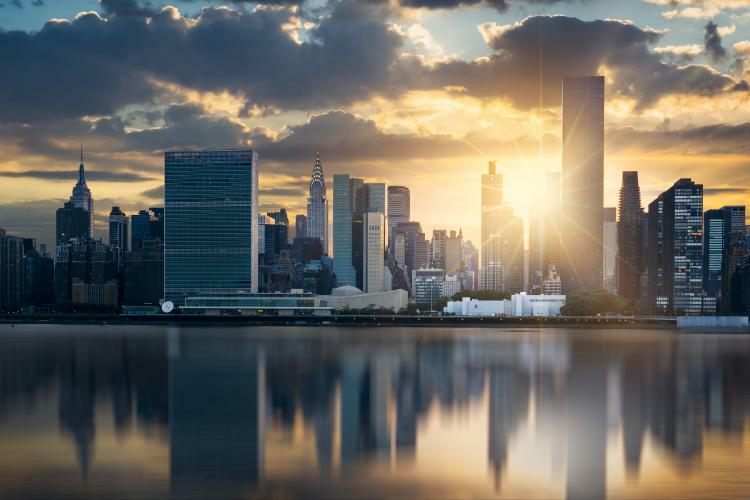 The skyline of New York City, United States. The resolution was adopted by the UN General Assembly on December 27, 2013. "Cities are increasingly the home of humanity. They are central to climate action, global prosperity, peace and human rights," stated Ban Ki-Moon, UN Secretary-General. The resolution stresses the importance of cities and human settlements to be inclusive, safe, resilient, and sustainable. However, this is not always the case and, according to the UN, inequalities in cities have grown since 1980. The largest cities are also where you often find the greatest differences between people. Urbanization is defined as the gradual shift of population from rural to urban areas. The process forms cities making them larger as more people come to work and live centrally. World Cities Day aims to highlight the role of urbanization to provide the potential for new forms of social inclusion. These include greater equality, access to services, and added diversity. This way cities can be designed to create opportunities, enable connection and interaction, and facilitate sustainable use of shared resources.